You may have heard the saying, “garbage in, garbage out.” When it comes to recording video, it all starts with the image. That is why it is important to start with a good quality lens and Canon makes some of the best. Up for review is the Canon HG10 HD Camcorder. I miss the old days of the Flexizone, where there was a small little box that you could move around with a joystick and tell the camcorder what to focus on. But since then Canon has brought us many other improvements. First I must cover some of the basic features that make this camcorder so great. Aside from the high quality HD video lens, it also comes with SuperRange Optical Image Stabilizer, an HD CMOS sensor that captures full 1920x1080 resolution, and an excellent RGB primary color filter. In addition, the HG10 has a 10x optical and 200x digital zoom, 3.1 megapixel digital camera, color LCD and viewfinder, and Canon’s own DIGIC DVII processor to handle the internal processing. Gone is the miniDV tape to record the video onto. Instead, there is a 40GB hard drive that can capture hours of video. Now there is no need to worry about whether or not you have that blank tape before you can do any recording. To put it to the test, I took it on a great field test….my family vacation to Disneyland. With all of the bright colors and excellent tones that are to be found all around Disneyland, especially Toon Town, I figured that would be the best location to see just how good the HG10 is. Not that I should be, but I was pleasantly surprised with its performance. Having been a multiple generation of Canon user, from the old Video8 line to most recently with my Canon Optura XI, I am not a stranger to Canon’s quality. But when I first turned it on, what I saw through my naked eye and what I saw through the LCD display were the same. Even in low light situations the image came out looking good. There were even some instances when what I saw on the LCD display appeared just a tad brighter than what I was seeing with my naked eye. I was amazed at how the Canon did in lowlight performance. Lowlight has not been Canon’s forte in the past; but Canon appears to have changed that. The images that I saw did have a lot of grain in very low light, but the image was still very viewable. Canon’s HG10 performed its recording duties admirably. In bright light situations, the HG10 performed superbly. The colors where very natural looking and the shades appeared right on with what I was seeing with the naked eye. There was plenty of saturation without appearing oversaturated. The contrast was excellent, and with the full HD 1080 sensor the detail and resolution was breathtaking. There are other manufacturers out there that use three separate chips for the colors. To save on some cost Canon has chosen to use just one chip with the RGB primary color filter. In Canon’s defense, this method appears to work very well. I have zero complaints about the image produced by using a single chip. With the advanced accessory shoe, you can use Canon’s accessories that you may already have such as Canon’s external mic or video light. I chose not to use my external mic or video light. I was initially concerned with the placement of the mic at the top of the camcorder, but I did not notice any internal motor noise as has been the case with some previous models with the same mic location. The camera felt great in my hand, more so than my Optura XI. The zoom, pause/record, and photo buttons (the ones you use the most) are all very easy to use and within close reach. If there was one area of concern I would probably put it on the use of the AVCHD codec. When using the camcorder and panning from one area to another, I did notice slight motion artifacts around some of the images. From what I have studied, this appears to be due to using that codec. While it was not terrible, it was noticeable. When panning, I would suggest doing so more slowly to avoid this as much as possible. Canon has done it again with bringing us consumers a great camcorder in the HG10. While it is not perfect, it does provide a great looking image! I would highly recommend the HG10 to anyone, and if you are in the market for a new camcorder I would make sure to put it on your short list. I am very sad to see it go, and I look forward to seeing what Canon has next to come out. For more information and full specs on the HG10, check out Canon’s website at http://www.usa.canon.com/consumer/controller?act=ModelInfoAct&fcategoryid=177&modelid=15617. If you are anything like me and like to travel, you may have noticed that annoying background noise. It usually comes in the form of a constant noise in the form of a jet, car, bus, or train engine depending on how you travel. And if also like you enjoy your travel entertainment whether it be music or movies, the constant noise and get to you. Up for review today is an answer to that problem. It is the Sennheiser PX300 noise cancelling headphones. With an MSRP of $179.95, not only are they good to reduce the noise of your surroundings but they are also a good sounding set of headphones. The closed, supra-aural minim headphones design has a frequency response of 8-21,500 Hz. The literature I saw said it has deep powerful bass, and while I tend to be a bit of a “bass head,” the bass was not boomy and overbearing, and seemed sufficient. The PXC300’s also had a good deal of realism to them. They were a tad on the bright side, but that is how most individuals like their music. The soundstage was good as well as the imaging. I enjoyed the level of resolution they provided. Both male and female vocals sounded great, and piano sounded very natural. I listen to everything from classical to new age, to reggae, to heavy metal. I was pleased with how they handled everything I through at them. They are lightweight and comfortable, and in combination of good sound performance I would be able to wear them for long periods of time. I am glad to see Sennheiser’s reputation still precedes them. The construction quality is very good. The noise cancelling feature works great. And their sound quality as headphones is also very good. If you are in the market for noise cancelling headphones, I would put Sennheiser on your short list. I thoroughly enjoyed them. For more info and complete specs, feel free to check out their website at http://www.sennheiserusa.com/. Panasonic has just announced its new heir or replacement in the front projector market. It is the PT-AE3000, which replaces the PT-AE2000. Panasonic has said it maximizes the image qualify of Blu-ray and broadcast HD content. It has added some new features, starting with a new optical system that achieves a 60,000 to 1 contrast ratio and 1,600 lumens of brightness. Signal processing technologies include Detail Clarity Processor 2 and Frame Creation Interpolation, and a maximum of 16-Bit digital processing. What that all adds up to is a new projector from Panasonic that sounds like an excellent performer. Availability is scheduled in October 2008 for a price of $3,499. For more details, check out Panasonics web site at http://www.panasonic.com/business/projectors/ae3000/index.asp. For those of us who may hate to stop and ask for directions, the best solution could be to get a GPS. Up for review is the C230 from MIO Technology. 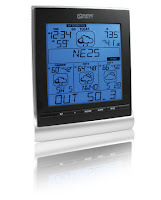 It is your basic GPS receiver with a nice looking color touch screen display. GPS receivers are getting quite fancy these days with additional features such as built in media players and digital camera. For those of you who think, I just want a GPS receiver, and too much is well……too much, this may be just the device for you. It does not have those fancy additional features (but if you want them, MIO Technologies has other models you could check out). It does have a nice looking interface, a built in card reader for additional maps, and is preprogrammed with plenty of points of interest. Having spent some time with the unit, I can tell you that it worked well. At the same time, GPS units can be a little quirky. Programming in an address of a location where I knew how to get to, I ended up doing a little extra driving and did not get the most direct route. But any GPS receiver can do that, and I only had that situation come up once. On a road trip that I took where I did not know where I was going, it worked flawlessly and was a lifesaver. The text to speech directions was also very nice. I would not have a concern recommending the C230 to anyone. If you want a little more than just simple GPS functionality, such as that media player, check out MIO’s C520. For additional info on the C230 and it complete specs, feel free to check out their website at http://www.mio.com/us/gps-navigation-products-c230-overview.htm. Listen up all Honda owners, or any other owner of a car that requires shallow speakers. Kenwood has come out with some real ear candy for you. It is called the Excelon XR-S17P. It is a 6.5 inch component speaker system that can really sing. The design is quite innovative. It almost looks like a coaxial speaker with no magnet at the back. It has a magnet, but what may be mistaken at first glance as the coaxial tweeter is actually the magnet. Their new design took the magnet from the back and put it in the front. I have a Honda that requires shallow mount speakers, and generally manufacturers do this using a smaller magnet at the back and a thinner basket which in turn makes the woofer almost flat. Here Kenwood was able to move the magnet to the front, and retain a basket of typical depth so you still have good excursion for good midbass response. I must say I was very impressed with the design, and you can see it in the photo. So far I was impressed with the design, but I was skeptical about how good they would sound. Let me premise this with the fact that I am used to good sounding gear. As a musician I can be particular when it comes to good sound. I have a Honda Del Sol, so I need something that can handle a lot of power and play loud when I have the top off. I have been a lifelong Rockford Fosgate fan, and my system comprises of two Rockford amps. One of them runs about 250 watts to my single 12 inch sub, and the other puts out about 100 watts times 4 to each of my four cabin speakers. They comprise of old school Rockford Fanatic series 6.5 inch coaxial in the rear (shallow mounts), and the 6.5 inch Rockford FNQ’s (with the aluminum cones) and hard dome tweets. Those Rockford fans out there know which ones I am talking about, but enough of Rockford Fosgate. This is about the Kenwood component system. I am not ignorant of Kenwood’s gear, having owned around a half dozen of their Excelon Head units. When I saw this new shallow mount design component system from Kenwood, I just had to check them out. So out came my Rockford Fosgate FNQ’s and in went the Kenwood Excelon XR-S17P’s. 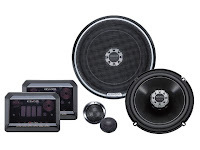 To give you a few specs on them, they use a carbon polypropylene hybrid cone, a 1 inch soft dome tweeter, can handle 100 watts RMS (300 watts peak), and have a mounting depth of only 1 9/16 inches. I have to admit I was a little skeptical when I was taking out my Fosgates. My FNQ’s have more robust crossovers with optical tweeter protection, and I like their aluminum cones. But I was still so intrigued I went forward with the install, and I figured I could put the FNQ’s back when I was done. My first impression was astonishment. At this point I knew I had a contender, and it was time to pull out the heavy artillery. I am a bit unique in the fact that I like a lot of different types of music ranging from rap to Bach. I threw a lot of difficult music at it from Fresh Aire/Mannheim Steamroller, to Bachbusters, The Eagles, Boys to Men, and even Metallica. This is for those of you who are looking for a good universal remote, but not just your normal universal remote. For those of you looking for something that is just…..more, Logitech has one that you should give some serious consideration. It is the Harmony One. It is one remote to control them all (well up to 15 devices that is). And its color touch screen interface makes it fun. Typical universal remotes will allow you to learn the codes of other remotes, and some of the buttons on the remote need to be manually learned. This means that you have the two remotes face each other, press a series of buttons for one remote to send and one remote to receive or learn, hence programming the buttons that you want. Well Logitech has taken away the confusion and headache of having to learn from one remote to another. The Harmony One comes with some powerful software and has a USB interface. You simply install the software on your computer, and then attach the remote to the computer using the supplied USB cable. There is a simple tutorial that takes you through all the steps to set up your remote with the gear that you have. They have an extensive library of thousands of different devices. Even my Levitron remote dimmer for my theater room was on there. What I like is the fact that it includes all the buttons on my original remote. The remote for my Yamaha surround receiver has a lot of buttons. The Harmony One has its share of standard hard buttons, but whatever button is not there is programmed in as custom buttons in multiple pages of buttons on its touch screen display. I like it! Once you have all the gear selected and the codes are downloaded to your remote, Logitech takes it a step further and lets you program macros for a set of function buttons on the color touch screen. You make them up for what you want. You can have a button that says “Watch TV.” Pressing that button can send out a series of commands such as turning on the TV and turning on your cable box. And you can have one for “Watch DVD,” that will turn on your TV, turn on your surround sound receiver, and turn on your DVD player, and press play on the DVD player. If you do not want to go through the expense of having a traditional secure wired home network and do not want to deal with a wireless home network, there is now a new option. You can go wired, but without the high cost. Introducing D-Link’s DHP-301 Powerline HD Network Starter Kit. It is an Ethernet adapter set that runs signals from one adapter to the other using your homes electrical wiring. It is very simple to set up with the included software. The main unit plugs to your router and then into an electrical outlet. The 2nd unit just plugs into the wall outlet and then whatever else you want it to plug into. They are rated at up to 200mbps throughput for HD content over your home network, and you can use them to allow your game consoles such as the Xbox 360, Playstation 3, or the Wii game systems connect to the internet. For you Boy Scout troops and those of you who really enjoy the outdoors whether it is hiking, camping, or anything else where you are away from civilization, here is a product you may be interested in. It is from a company called Spot, and it is a Satellite Personal Tracker. You may be thinking GPS. It is, but it isn’t. 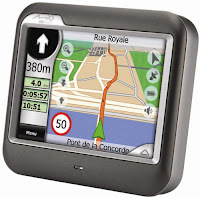 A traditional GPS device has a little screen that tells you where you are and gives you directions, and that is about it. This personal locator device does not tell you where you are or how to get to a particular location. What it does do is tell others where you are and by doing so has saved lives. That is why I started out saying it is used most by those who do outdoor activities. When you purchase the device, you set up your own personal account, and include with it a list of email addresses and cell phone numbers. The device has no display to tell you where you are, but it does have a few buttons to notify others where you are. There is an ok/check button, a help button, and a 911 button. Let’s say you are going on a backpacking trip out in the middle of nowhere. At different spots along your journey, you can press the ok/check button. This sends a signal to the GPS satellites that gets forwarded to the email addresses and phone numbers you have set up to tell those individuals you are ok and where you are on your route. If something happens and you have an accident and need emergency assistance, you can press the 911 button. This notifies not only the individuals, but also the local authorities so they know you are in need of rescue and also your exact location. Taking it on a camping trip myself, I found it worked very well. And for a minimal service fee, it could mean the difference between life and death. For more details, feel free to check out the companies website at http://www.findmespot.com/home.aspx. If you want to set up a home network, you have two options. You can either go wireless, or if your house was prewired for it you can do a wired network. A wireless network is not as secure, but as most homes are not prewired for a home network since it tends to be an expensive upgrade, most people go with a wireless network. Now you can do a wired network without the traditional network wires. A new format is available that lets you use the existing electrical wires in your home in the walls that connects outlet to outlet to send data on through a home network. You need at least two adapters. One is the primary and one is the secondary. The primary one will hook up to your router and the main computer, the secondary one hooks up to your second computer and the network connection on the back of that computer. Now you can access the internet on your second computer. But it is not limited to just the internet. You can also share audio, video, and photos over your home network using these adapters. No additional software is needed. All I needed to do was plug the main adapter into the wall, and connect the Ethernet cable to my router. Then I plugged the second adapter into an outlet and then connected the Ethernet cable into the back of my second computer. It took a little while for the adapters to see each other, but once the connection between them was set up, I had internet access on my second computer. They worked pretty well. I tested the connection speed at 532Kb/s download speed, which was not as fast as my primary computer connected directly to my router but was still pretty good. Now you can have a cheap fully secured wired network. According to Panasonic, up to 16 of these adapters can be used together, and the maximum transmission speed is 190 Mbps theoretically. For more information, feel free to check out the information at Panasonic’s website at http://panasonic.co.jp/pcc/products/en/plc/sp/lineup/index.html. You can get quite a bit when you buy a new computer these days. It used to be that you could save a lot by building it yourself, if you knew how to. That is not necessarily the case now. But, building it yourself does give you more options on hardware. Especially if you do a lot of add-ons such as video capture cards, or want higher performance parts. Buying a prebuilt system usually doesn’t give you as many add-on options. These are a few of the reasons why you may want to build your own. For those of you who have opened up your computer and upgraded parts like adding more memory, DVD burner, video card, etc, building a system is not that much more difficult. It does help to have a resource you can turn to for help. If you do not know how to work with the individual components, you can check with a local electronics store. If they sell all the parts, they may also be able to build it for you. When I build a system I start with the case. If you want to do overclocking, you will want a case that has a lot of fans built in to blow in cool are and blow hot air out to circulate air flow and keep your components cool. I wanted a quiet system. The case I used is one provided by Antec, their Sonata Plus 550. Not only is it a nice case, it is designed to be quite and even includes sound deadening material on the inside of the two side panels to reduce noise. Antec really went all out in trying to make this case as quite as possible. I really like the soft rubber feet at the bottom of the case to again further reduce vibration and noise. It also came with a nice highly efficient NeoPower 550 watt modular power supply. Power supplies are important as they are supposed to provide constant stable current to your components, and 550 watts is plenty of power for the majority of users. Antec is a name I trust in cases and power supplies. Next up is the motherboard, which is crucial for a stable system. They vary greatly in price, features, and stability. You tend to get what you pay for, and your motherboard is one place I would not try to cut costs. Building your own system lets you choose your motherboard which can give you much more expandability options. The motherboard I used here was from DFI, the UT 790FX-M2R. I previously have not had any experience with them having mostly used Asus boards, but knew them as a good quality board maker. I was proved correct, with the board having a lot of expandability and features as well as being very stable. They have more than enough card slots, and for you gamers out there it can even do three-way crossfire. It even came with a separate heat pipe for overclockers to help keep the chipsets cool, and a separate audio card module. The features are too numerous to list, and will give you their website at the bottom of the article for their full specs. But suffice it to say I am getting fond of them, and give two thumbs way up. If you think this board is a bit much for you, they also have another great board the DK 790FX-M2RS that is very close to it in features, minus the additional heat pipe for additional cooling and the sound card module. Again for its detailed specs I will refer you to DFI’s website. The motherboard is the first part to be installed in the case. Next is the processor. Here I chose to go with an AMD. I don't think they are quite as good as Intel, but they are a great value. AMD also has a very cool program called AMD Live! Explorer. (It only works with AMD processors, which is the main reason for my going with an AMD based system, and I will cover that program in a different review). First you install the processor in the socket, put on a bit of thermal paste, and then install the cooler. At this point is when I will attach the case cables to the motherboard (power button, front usb connectors, etc. ), as well as the case fans and CPU fan and power cable from the power supply to the motherboard. You will need to refer to the motherboard manual since the locations are all different. I now would install the RAM, and I went with four 1GB DDR2-1066 sticks of Kingston HyperX memory which is very good high speed ram with heat spreaders. I used 4GB, and wouldn't recommend anything less than 2GB. Although Windows Vista will work with 1GB, I would recommend 2GB when working with multimedia applications. Kingston is a name you can rely on for high performance and they also come with a great lifetime warranty. Some motherboards come with built-in video so no video card is needed. The DFI motherboards did not have integrated video, which is ok since I much prefer a separate video card. They are more powerful for more extensive video applications such as games, video editing, or high definition video watching. I actually went with two video cards, the HD3870 an HD3850 provided by ATI. Using two cards together in crossfire adds additional performance for video editing and gaming. For you gamers out there, I scored over 14,000 3d2006 marks, which is very impressive. NVIDIA is also another good video card company, but I much prefer the ATI products. I b elieve they are a great value for the money, and also have some great features. Their UVD (Unified Video Decoder) takes care of all the decoding with DVD’s, HD-DVD, or Blu-Ray movies so your CPU does not have to. It also has a great integrated software component called AVIVO video converter. Here you can take a ripped DVD or TV show you recorded, and convert it to a file that will play on your iPod, PSP, PDA, or other portable device. No additional software needed to buy. I have been using ATI for their video cards for years, going back to their original All-in-wonder card with built in TV tuner. Now I look for a bit more performance, and the HD3870 and HD3850 cards deliver it in spades. Kudos goes to ATI for some great video cards and the high value for performance when compared to the price. I was even able to overclock mine a bit to get out even more performance. The included Catalyst software makes it pretty easy to do. After the video cards were installed, I would usually now install the sound card. As I briefly mentioned earlier, the DFI board actually came with a separate module that is a sound card, so I did not use a separate sound card. It works like a normal add-on sound card without taking up an internal card slot. It even has a coaxial in and a coaxial out. If you have any additional cards, such as a TV Tuner card, now is when I would install them. It is now time to install you storage drives. These would include hard drive and DVD burners. For obvious reasons I always go with name brand hard drives that I trust and I chose Seagate. I have used them for years without problems. I used LG for my 2 DVD burners. Installing these in my Antec case was very easy. I screwed on the rails to each side of the drive, and then just slid them into the slots. For the hard drive there is also a unique suspension system in the case to reduce vibration and hence also reduce noise. It worked pretty well. With the drives in place it is now time to connect the power cables and parallel cables to the back of the drives. The hardware part of the building is now complete and it is time to screw back on the side of the case. Last but not least I want to briefly cover the operating system and a couple accessories. I have always been a fan of Microsoft Windows. Some of their versions of windows have been better than others. The current version out now is Windows Vista, and one version I want to mention is the Ultimate version. It has a very cool feature that I first saw at the Consumer Electronics Show in Las Vegas called Windows DreamScene. Your desktop now goes interactive, not just with a picture, but with video. The one that was shown off at the show was that of a mountain waterfall and stream, where you can see the water falling and the tree leaves blowing in the wind. It is a video clip running in continuous loop. There are different scenes that you can download, but you can also load your own home movies as your backgrounds – VERY cool! And speaking of home movies, I also wanted to touch on additional storage options. While cases can hold multiple hard drives and give you the option of designating one or more to something like home movies, they are purely internal. They will work for that computer, or any others you may have on your home network, but what if you wanted to show off say your son’s touchdown run to grandpa. For that, an external hard drive is a great accessory. You can take them wherever you go. If you a re also worried about viruses, you can also use one for your home movies, photos, or anything else, and just connect it when you need it reducing the ability for it to get corrupted. Some external hard drives are designed to be compact, and some are a bit bigger and are designed for large amounts of storage. I have a few different ones here from Seagate and Maxtor, both small and larger, and both good companies. They are the Maxtor 1TB OneTouch 4 Plus and 250GB OneTouch 4 Mini, as wells as the Seagate 1TB FreeAgent Pro and 250GB FreeAgent Go. I hope you are able to see that building your own computer really is not that difficult. I would not necessarily recommend it to someone who has never done any hardware upgrades. I would recommend to first try upgrading your current computer, like getting a new video card, adding a new hard drive for increased storage capacity, and add a DVD burner. Once you have learned how to do those things, the rest is not too hard. As I mentioned before, it does help to know someone with the experience in case you have trouble. And if all else fails, you could take it somewhere that builds them, such as your local Best Buy Geek Squad. For more detailed specs on the specific components, feel free to visit the manufacturer's websites at http://www.amd.com/, http://www.antec.com/, http://us.dfi.com.tw/index_us_noflash.jsp?SITE=US, http://www.kingston.com/, http://www.maxtor.com/, http://www.microsoft.com/, and http://www.seagate.com/. While people are being more and more MP3 players, you may not want to forget what I feel is the most important accessory – headphones. MP3 music is compressed music, meaning you start from a CD that sounds really good, and compress the audio so it does not take up as much space, but you lose some sound quality. Due to this, I always recommend getting better headphones. Unlike the Sony (with this particular model) which included headphones that actually sounded pretty good, most included earbuds/headphones are sub-par. I have seen headphones or earbuds ranging from $5 (similar to the ones included with the players) all the way up to almost $500. The headphones and earbuds that I will be talking about today range from the included earbuds to $300. They include the Sansa stock earbuds, Sony stock EX earbuds, Creative EP-630 for $40, Sony noise cancelling MDR-NC11A for $100, Altec Lansing UHP336 for $130, Sennheiser CX500 for $130, Skull Candy SK Pro for $150, and Shure SE310 for $300. I started off with the stock earbuds provided with the Sansa players. They sounded ok for what they are. The sound was a bit muddy, small soundstage, and not very crisp. They do however sound better than stock earbuds used to. Sony stepped up to the plate with their included EX earbuds (the NWZ-A818 included them, but cheaper players may not), which Sony says are worth about $40. They were cleaner than the Sansa’s, as well as having better resolution and bass response. They actually sounded pretty good. The fit of the earbuds were amazing. The traditional design that is now used on only the cheaper earbuds fit snugly in your ear just outside of the ear canal. The more expensive earbuds, called IEM’s (In Ear Monitors) are now using a design that fits in the ear canal, and they usually come with a few different sizes of rubber tips to give you a snug fit so they won’t fall out. The Sony uses a unique design. Rather than the earbud going completely in the ear canal and sticking out, these partly fit in the ear canal and the rest that is outside of the ear canal is at an angle to fit in the outside of the canal like the more traditional cheaper style of earbuds. This design gives you the better sound like the style that goes in the ear canal, but also the snug fit like the cheaper earbuds. I love the fit! Next up is the Creative earbuds. They sounded about on par with the Sony’s, but not quite. The sound was good, with better bass response than the Sony’s, but they were a little too bright for my preference, and the resolution was not quite as good as the Sony’s. It makes me wish I could have tried Sony’s $100 EX earbuds. Now we step up a bit in price with Sony’s $100 noise canceling earbuds. They were a bit on the bulky side for the earbuds, but that is where the mic is built in for the noise cancelling feature. The fit design was the same as the previous model, but the sound was not quite as good either. The sound was not quite as clean and not as much bass response, but they are better than stock earbuds and they do have noise cancelling. I was a little surprised with the noise cancelling feature. It only works on part of the audio spectrum (50-1,500 Hz). Listening to music in the background, I turned the feature on and off so I could hear the effect, and it did work. I would probably be more impressed with it if I was testing it in the environment it was probably designed for – on a plane or a train. Now is where I would consider the sound as high end. The Altec Lansing’s for $130 were nice and crisp, with a nice resolution and bass response was good and tight. The vocals were very natural sounding. The imaging was very good. The Sennheiser’s for $130 equally sounded wonderful. The sound was a tad cleaner and crisper than the Altec Lansing’s but the difference was very subtle, and the Altec’s were just a tad smoother. I have used Sennheiser headphones for years due to their reputation of good sounding headphones and I am glad to see the quality has not changed. The $300 Shure’s are on a different level, and takes everything to a higher level. It is kind of like going from a good Dryer’s ice cream, to a shop that serves frozen custard – very smooth! At first I was struggling with the sound of the Shure’s. They sounded amazing, nice soundstage, excellent resolution, very clean sounding, but the sound was also something else that I couldn’t put my tongue on, until it came to me. They were so much smoother. Last but not least is the only pair of over the ear headphones. They are the Skull Candy SK Pros. I personally prefer a good over the ear type headphone, and these were definitely skull candy! I prefer a lot of bass (I have a 12” sub in my car stereo). To test out the bass response of these larger driver headphones I turned to some old school Dead or Alive. These things were booming, and I was grinning ear to ear. Everything else sounded great with them as well. They are definitely skull candy! I was blown away by Skull Candy’s Limited Lifetime warranty. It gave me such a laugh, I had to include it here as written in the package of the SK Pro headphones. “Limited Lifetime Product Warranty. Skullcandy is proud to provide the best product warranty in the industry: If this product should fail during your lifetime, we will replace it at no charge. If the product is damaged by aggressive music listeners sliding a rail, sliding down the emergency ramp of your aircraft, slammed in your locker, slammed in your car door, run over by a car, running into a wall, getting run out of town, mountain biking, road biking, sky diving, beating your boyfriend unmercifully, getting beat down by the man, blown up in an accidental experiment with flammable substances, or damaged in any other every day experience, it means you are living you life the way we want our product used! In these or any other damaging events, we will replace the product for a 50% discount from retail. While I would not suggest you do…some of those things, the warranty rocks! For more detailed product specs, you can find them at www.sennheiserusa.com, www.us.creative.com, www.alteclansing.com, www.shure.com, and www.skullcandy.com. There is big news in the high definition DVD format war. It mostly started in early January when Warner Brothers announced that it would no longer be supporting HD-DVD. They were releasing movies in both Blu-ray and HD-DVD, but will now only be releasing them in Blu-ray. Soon after there were announcements from Best Buy, Netflix, and Wal-Mart. Best Buy announced that they would be pushing Blu-Ray. This meant that they would still be selling HD-DVD movies and players, but when asked for help by shoppers Best Buy will recommend Blu-ray as the preferred format. Netflix has announced that it will drop HD-DVD. They currently carry HD-DVD for rent, but will no longer be purchasing any new HD-DVD’s and will start to phase them out. Then came the announcement from Wal-Mart that they will no longer be carrying HD-DVD. They will begin to phase out HD-DVD players and movies, and will go with just Blu-ray. When Warner Brothers announced their defection to Blu-ray, Toshiba tried to counter attack by dropping the prices of their HD-DVD players. I think the strategy was to get as many players as possible in the market, and let consumer demand help to bring back more studio support for HD-DVD. But with the announcements from Best Buy, Netflix, and Wal-Mart, Toshiba decided to throw in the towel. It has now been announced that the HD-DVD format is dead. They will cease manufacturing players and movies, and stop marketing in March. Toshiba did say that they would continue to provide support for those of us who have bought HD-DVD players. What this also means is there are still HD-DVD players in stores being sold. These players will also more than likely be discounted to get rid of them. The good news is that these players also make for great upconverting DVD players. But so is a Blu-ray player. I used to be a supporter of HD-DVD. I preferred that format over Blu-ray. But I cannot recommend anyone buy an HD-DVD player at this time. Have you tried buying a movie on VHS lately? Soon it will be very hard to find an HD-DVD movie, and even then it will only be certain movies since only a few of the Hollywood studios supported HD-DVD, such as Universal. And Universal recently announced that with the death of HD-DVD they are now working on getting their movies released on Blu-ray. With the death of HD-DVD, it is now safe for those of you waiting for this moment to buy your player – a Blu-ray player, to go out and buy. But you still need to be careful which player you buy. My only suggestion would be a Playstation 3. Why? Because of the history of players that were released, and support for upcoming versions. DVD’s have bonus features, or many of them do. So does Blu-ray discs. Many of these bonus features are found online, meaning you have to be able to connect to the internet. There are also different hardware requirements. There are Blu-ray profiles 1.0, 1.1, 2.0, and 3.0. The different profiles had different requirements. Profile 1.0 came first. There were secondary audio and video decoders as well as network connectivity, but they were optional. Profile 1.1 came out and the secondary audio and video decoders were now required for newer discs, as well as at least 256MB of local storage for content. Profile 2.0 requires the new secondary decoders, 1GB of local storage for updates and content, and an internet connection. The profile 2.0 is also called “BD-Live,” and brings picture-in-picture and online functionality to the discs. For example, at CES, Fox Home Entertainment showed off a Blu-ray version of Alien vs. Predator that featured an online multiplayer game where you shot at the aliens on the screen using your remote and competing against other players remotely. Profile 3.0 is for audio only. It is believed that this will be somewhat like the DVD-Audio or SACD format. This is why I say to be careful what you buy, and that I would only buy a Playstation 3 right now. I am not aware of any profile 2.0 or “BD-Live” players on the market yet. If you bought a new player now, it could be out of date in just a couple of months. The Playstation 3 however is unique. Not only does it already have the network connector on the back, it also has a very powerful processor under the hood to handle future updates. Sony’s booth at CES had a Playstation 3 that had been updated to profile 2.0 and showed off its features. The Playstation 3 also happens to be one of the cheapest if not the cheapest Blu-ray players out there at $399. Not only is it a great Blu-ray player, it is a great game system. So, in a summary, HD-DVD is dead, and I would not suggest buying one of those players. It is now safe to buy a Blu-ray player, but I would only buy a Playstation 3. There are future…versions, you could call them, of Blu-ray coming out and the Playstation 3 will be able to be upgraded to them with a firmware update. None of the Blu-ray players on the market are “BD-Live,” players, and may or may not be upgradeable to “BD-Live,” (for those of you who are not computer savvy, a firmware update is downloading a file from the internet and burning it to a CD that you install into your player, and you need to be careful doing it or your player could be turned into an expensive paperweight). If you do buy a player that is not a Playstation 3, I would suggest calling the manufacturer to make sure it can be upgraded via firmware to “BD-Live.” You may want to take it back to the store before it is too late for returns. MP3 players are getting more and more popular. They come as small as a matchbox. You can still buy the original iPod, which is about as big as a small brick. Today I will be looking at a few different players, one match box sized Clip player from San Disk, another nicer Sansa e260r player from San Disk, and finally a Sony Walkman model NWZ-A818. The prices for the players range from under $40 for the Clip player, $120 for the Sansa e260r player, and $200 for the Walkman from Sony. Starting off with the small Clip player from San Disk, it is a 1GB player with a built in clip on the back making it perfect for joggers. You get a big bang for the buck. It has a built in FM radio, voice recorder, and music player. In the settings you can choose a shuffle option that mixes all of your songs, as well as a repeat feature for repeating a song over and over. You can also listen to audio books on it. The player also has a graphic equalizer with 6 different settings to choose from including a custom setting that you can make your own adjustments to its 5 band graphic equalizer. For the music player you can look up your music under all, artist, albums, songs, genres, playlists, my top rated, recordings, and audio books. The controls are quite simple, and on the display you can change it from artist and title to a spectrum analyzer. The sound quality was very good. Next in line we have the Sansa e260r. For a little more money, you get a nicer looking color graphical user interface (GUI), 4GB of storage, a microSD memory card slot for additional storage capacity, an FM tuner that also records, and video playback. The EQ has 11 different settings, you can set a photo slideshow to music, and it also supports the Rhapsody music service. You can transfer TV shows and even movies that you have recorded or ripped to your hard drive onto your Sansa player. Video can be transferred to the player thru the included Sansa Media Converter, or through Windows Media Player, which is also used to transfer music and photos. The back of the case is metal for extra scratch protection. Last but not least we have the Sony Walkman, not a cassette or CD player, but a video MP3 player. More money gets you more features and a little better quality, including what appears as an all metal case. It has a lot of the same features as the Sansa player, only it is thinner, lighter, and does not have an FM tuner or a memory card slot. I have to admit, I was a little bummed not having the memory card slot and the FM tuner. It does up the internal storage capacity to 8GB, and if you do not listen to the radio a lot this could be all you need. The Walkman also had some additional features that I thought were pretty cool. If you are looking to listen to something from a specific period of time, you can do a Music Library search by release year. It has 6 different equalizer settings (2 of them are user settable), and surround settings which simulate the sound fields of different venues (studio, live, arena, etc. ), and a clear stereo mode that enables individual left and right processing of the sound. It has a DSEE (sound enhancer) which helps to correct the sound lost in the high range of the music due to compression. With the players video playback it had its drawbacks. The picture looked “ok” on the Sansa but I had an audio sync problem – meaning when you saw somebody speaking you had already heard what they said before their mouth started moving. It was not bad early in the video but progressively got worse the longer the video was. For a short half hour TV show, by the end of the show the audio would be a couple of seconds off. On a 2 hour movie it could be off by as much as 30 seconds. The problem was with using the included Sansa Media Converter program. I was able to transfer a TV show onto the player using Windows Media Player and doing it this way there was no audio sync problem. The extra money for the Sony player appeared to pay off when it came to video. The quality of the video took a big step forward. The Sony Walkman felt really nice in your hand, and I really like its GUI. It was not as colorful as the Sansa e260r’s GUI, but it looked really sharp none the less. Both of the players sounded really nice, but the video playback of the Sony was really nice! The picture was great, and playability was superb. With the Sansa, video was broken up in about 30 minute increments, so a two hour movie would usually have four different chapters to it. I could hit the forward button and go to the next chapter, but if I wanted to fast forward to somewhere in the current chapter I had to keep my finger on the forward button. That could get tiring. The Sony Walkman did not break up movies or long shows into chapters that you could skip ahead to. Instead, it had 3 fast forward speeds. With each press of the forward button it would change from speed 1 to speed 2 to speed 3, and you can see the video as you sped through it. You did not get to skip the chapters like on the Sansa player, but the third speed on the Sony was pretty fast and you also did not have to keep holding the button down with your finger – very nice! This also worked the same way in reverse with the Sony Walkman. With the Sansa player, trying to rewind was more like slow motion. The video kept playing forward, but it was in like a slow motion. Both players did have their issues however in getting the video into the player. The included software with the Sony would transfer video to the player, but did not convert video to a format that would play in the player. You would need a third party program for that. I used a program called Nero Ultra, that included a program called Nero Recode (it is also an awesome CD/DVD burner program). I was able to use it to convert the video I had, even full length movies, to work with the player. Then I would use the Sony Media Manager program to load the video onto the player. The video looked great and no audio sync problem, not even after 2 hours. Both players only supported certain types of video, and the Sansa player was compatible with more types of video. Well I have told you what they can do, but not what I thought of them. I really liked the little Clip player. It was just a basic audio player, but packed a lot in its small size and gave you a big bang for the buck at under $40. The Sansa e260r was a very nice player. I liked the fact that it had a nice looking color GUI, could record from the FM tuner, had a memory card slot for extra storage, and also played video for $120. But the Sony’s video quality and usability I thought was so much better. For video, Sony was king. And with 8GB internal storage, that may be all the need for internal storage and without the need to juggle around extra memory cards. At $200 it may be worth it for you, especially with the fact that Sony includes with it EX grade earbuds. With the Sony, you may not feel the need to buy better earbuds or headphones. You may want to get some accessories for your player. A very cool product is the Skull Candy Link Street pack for $150 – the backpack of backpacks. It is not your ordinary backpack. Not only does it have a lot of pockets and compartments, it also has iPod or MP3 or cell phone controls built into one of the arm straps. On iPods, MP3 players, and cell phones you can control the song volume, with cell phones you can also answer or disconnect a call, on iPods you can also control the next or previous tracks. It also has a connector on an arm strap to plug in your headphones. If you opt not for headphones, it has two built in waterproof speakers (one in each arm strap) that are powered by an internal amplifier that runs off of 4 AA batteries. The amp also doubles as a battery charger. Included with the backpack are several different connectors for different brands of cell phones. If you like to carry your player around, you may also want to look for a case. For players like the Sony that are not as popular, you may have to go directly to the manufacturer for the case. Companies like SanDisk and their Sansa players are getting more popular, and companies like Speck make nice rubber cases for them in-case they get dropped. If you have an Apple iPod, there are even more options for cases. If you have an iPod and like to listen to your tunes around the pool, or take it on the construction jobsite at work, a company called Otterbox makes waterproof and shockproof cases. I actually have one for my PDA, and it works great. Otterbox makes cases for iPods, cell phones, and PDA’s. As you can see, there are a lot of nice products out there in the way of MP3 players and accessories for them. Most of the features are simple enough to figure out and use. If you are one who wants the ability to do portable video, I would be more careful. Getting the video to play back right is trickier, and you may have to get third party software. I would also make a mental note of the return policy of the store where you purchase it at. If you have problems, you may want to be able to take it back. The Sony worked great with video, but I had to use some 3rd party software to get the video to work right. And do not forget headphones (covered in their own product review on our site). If you are looking for a premium backpack, the Skull Candy Street Link rocks! For more detailed product specs, you can find them at: www.sandisk.com, www.sonystyle.com, www.nero.com, www.otterbox.com, www.speckproducts.com, and www.skullcandy.com. The world of electronics is expanding, and one product that is finding its way into the hands of more people is MP3 players. Often times though we forget about the much needed accessories that make our players more usable. Your player is a bit of an investment, and you should want to protect it. The best way to do that is to get a case for it. Up for review is a case from a company called OtterBox. OtterBox has a multiple array of cases. They make them for iPod’s, as well as PDA’s and BlackBerry’s. They come in different types as well from simple rubber cases for the accidentally drop, to serious heavy duty waterproof cases. Up for review is a heavy duty fully water proof case. This one is called the 1900. It is an ultra rugged case that is waterproof, dustproof, sand proof, drop-proof, and they claim it fits 99% of all PDAs on the market. The 1900 appears to deliver on what is described. It is built like a tank and my iPAQ 2100 fits in it great. The front has a clear hard plastic cover which lifts up to a soft plastic cover that you can right through wit h your stylus. There is a plastic seal on the bottom that comes off so you can sync it in the case. The top is a small hard plastic piece that can also come off so you can change memory cards. Built in to the clear hard piece on top is also a rubber plug. The 1900 came with an extra rubber plug with a small hole in it so you can have a pair of headphones connected and still have the top on. After some concern about how it would do IN water while using headphones, I decided to put it to the test. I first ran a pair of headphones through the slit in the plug and filled up my bathroom sink with water and dropped it in. The 1900 case floated nicely and no water sipped in, not even a drop. I then put my iPAQ in the case with power on, and slipped it into the water. The case still floated, but this time it was mostly covered with water so the small slit in the plug was completely under water. I even pushed it in so it was completely submerged for about 20 second s. I then pulled the case out and dried it off. I discovered that again not even a drop of water made its way into the case. My concerns are now completely resolved. No matter where I want to use my pocket pc – camping, mountain biking, or floating in the pool, I know my iPAQ is safe when it is protected by the OtterBox 1900. About the only negative thing I can say about OtterBox is I would like to see more models. While they have cases for pda’s, blackberry’s, and iPods, I would like to see them expand their line-up to include cases for other mp3 players like the SanDisk’s Sansa players and Microsoft Zune players, to name just a couple. For more info and specs you can go to http://www.otterbox.com/. I would love to have one for my Sansa View player. Up for review is a nice pair of Skullcandy SK Pro DJ headphones. They are blue with white leather touch ear pads and a soft leather touch black head wrap pad. The ear cups have a 90-degree swivel for studio monitoring, and out of one of the ear cups is a pro coil cord with a gold plated screw on ¼ inch plug adapter. The speakers are 50mm power drivers with neodymium magnets with a 20Hz-20,000Hz frequency response. The build quality felt great. Now for the real test. For comparison I am using some Sennheiser 212Pro’s. I have had them for years, and they sound great. The Sennheiser 212Pro’s have been my reference model, but that is about to change. To put the SK Pro’s to the test I used a variety of different music. Sound and Vision’s SACD Sampler disc by Telarc, Mannheim Steamroller’s Fresh Air III and Fresh Aire V, Dead or Alive’s Rip It Up, Metallica Black Album, The Very Best of Erich Kunzel: With the Cincinnati Pops Orchestra, and the Star Wars Trilogy by John Williams released by Sony were all used. From Sound & Vision’s SACD Sampler, Eric Bibb’s Don’t Ever Let Nobody Drag Your Spirit Down, the sound was wonderful. The piano was very natural sounding. Both male and female vocals were right on. The channel separation was great. The SK Pro’s projected a good sized soundstage with excellent imaging. The resolution was phenomenal. For a test of pounding bass performance I turned to some old school 1980’s Dead or Alive in their album Rip It Up. The track You Spin Me Right Round sounded very nice as with everything else. The highs and mids sounded nice and clean. The bass really pounded, so well that it actually vibrated my lobes! Mannheim Steamroller is a favorite for me in reviewing and critical listening. In Fresh Aire V the track Creatures of Levania was extremely pleasant. I must have listened to it over a half dozen times in a row because it sounded so good on the Skullcandy. At the very beginning there is a bass tone that continues to drop until it reaches around 20 cycles and really shows how deep the SK Pro’s can go. Channel separation was again excellent. The flute was nice and airy. In Fresh Air III’s track titled Toccata, the sound was very clean. There is a lot of percussion, with the cymbals being very crisp and not overbearing. The kick drums were good and tight. The detail and resolution of both tracks were wonderful, more so than the Sennheiser’s. I also love the acoustic guitar intro into Nothing Else Matters on the Metallica Black album. It sounded nice and clean, with good definition. Sing, Sing, Sing, on The Very Best of Erich Kunzel: With the Cincinnati Pops Orchestra was another good one. The trumpet solo really wailed! I also cannot forget one of my favorites with the trumpets and horns in Throne Room and Finale by John Williams on The Star Wars Trilogy released by Sony. It was extremely clean and not too brassy. It gave me Goosebumps! Not only do they have great sound, but they come with an awesome warranty. In the box with the headphones was a warranty card with their warranty. It was so great, I have to quote it. “LIMITED LIFETIME WARRANTY. Skullcandy is proud to provide the best product warranty in the industry: If this product should fail in your lifetime, we will replace it at no charge. If the product is damaged by aggressive music listeners sliding a rail, sliding down the emergency ramp off your aircraft, slammed in your locker, slammed in your car door, run over by a car, running into a wall, getting run out of town, mountain biking, road biking, sky diving, beating your boyfriend unmercifully, getting beat down by the man, blown up in an accidental experimentation with flammable substances, or damaged in any other every day experience, it means you are living your life the way we want our product used! In these, or any other damaging events, we will replace the product for a 50% discount from retail. Love Skullcandy.” While we at Stereowise Plus wouldn’t condone……some of those things, that warranty is just awesome! It had to be included in the review. Bottom line is I found my new reference headphones. Sorry Sennheiser. With this kind of resolution and sound quality, everything sounded good on them. So if you want to give your head a real treat, give it candy. Make it a Skullcandy! For more info and complete specs, check out their website at http://www.skullcandy.com/.